Anyone up for a three-ingredient dinner? 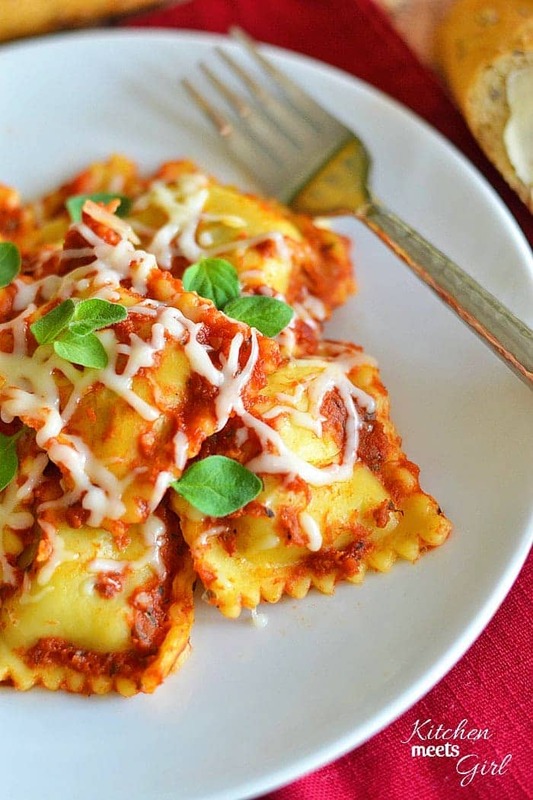 Then you need to try this Slow Cooker Ravioli! I might have mentioned once or twice that my 6-year old is a picky eater. 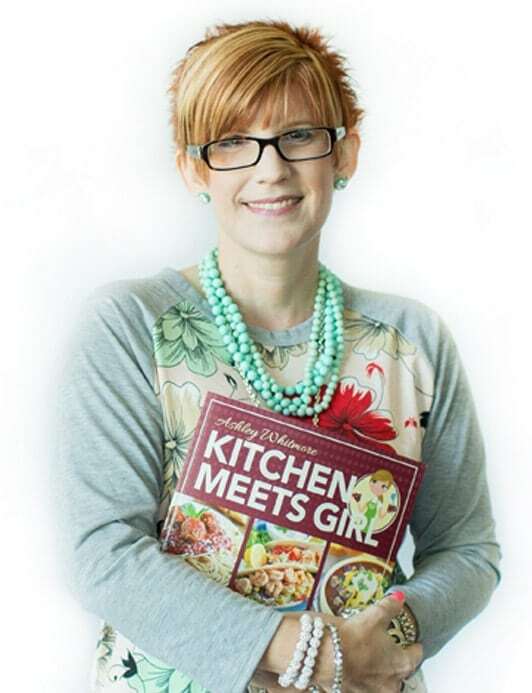 Actually, it’s not that he’s super picky, it’s that he doesn’t often eat more than a few bites of anything before he declares himself “full.” So anytime I can find something that he’ll eat, and is easy to make on a work night…well, I’m all over it. 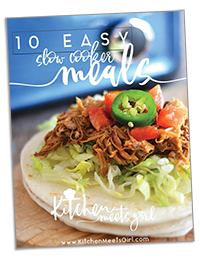 I enjoy using my slow cooker year-round, but I have to admit that we tend to use it more during the fall and winter months. It’s so nice to end a busy day with a nice, warm meal already prepared for me. In my slow cooker, this took about 2 1/2 hours on high. For us, this was just the right amount of time between work and the end of karate class. But keep an eye on yours, as it might cook a bit faster. I suppose you could also cook this on low for a longer period, though I have not tested that yet. If you try it out, let me know! Place a small amount of the spaghetti sauce in the bottom of your slow cooker. Top with the bag of frozen ravioli, and pour the remaining sauce over the top. Stir slightly to combine. 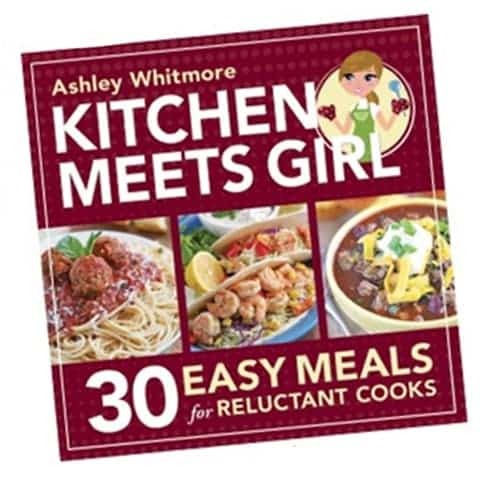 Cook for approximately 2½ hours on high. After 2½ hours top with mozzarella cheese, replace lid and continue cooking for another ½ hour, until cheese is melted and bubbly. Three ingredient dinners are my favorite! This looks SO good and easy 🙂 I love crockpot dinners, especially if pasta is involved. Can’t wait to try this! 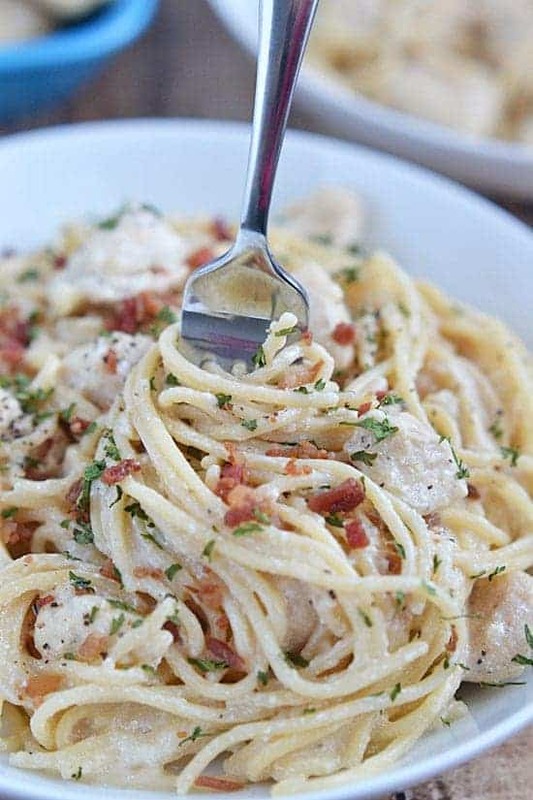 Friday’s dinner…..can’t wait to try. What size slow cooker do you use. Could you cook this on low for 5 hours and be ok? This would be something I could throw in the crockpot on my lunchbreak, but I wouldn’t be able to get back to it if I did it on high for 2 1/2 hours. I think that would work fine, Kathy! 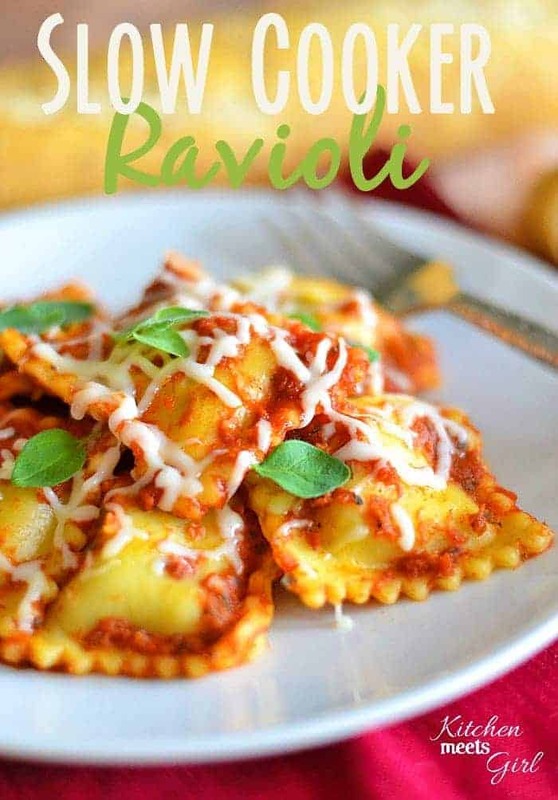 This looks yummy, but I’m just wondering… ravioli cooks so quickly. Does the ravioli turn to mush in the crockpot? does it have to be frozen ravioli? Or can I use ravioli that is refrigerated? Hello, Neat post. There is a problem with your site in internet explorer, might test this? IE still is the marketplace chief and a big element of folks will leave out your excellent writing due to this problem. I’m going to try it with frozen Italian meatballs tonight.